Amphibians and reptiles are among the fastest declining animal groups, and an important cause of this is habitat alteration and loss. Therefore, a critical step in their overall conservation is to conserve and restore important habitat. However, information on reptile and amphibian habitat is often lacking and they are rarely focal species for management action. 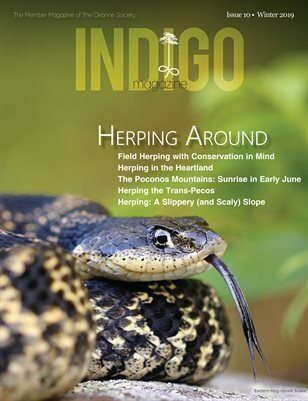 To address this need, and inspired by Important Bird Areas (IBAs), Partners in Amphibian and Reptile Conservation (PARC) created a task team to develop guidelines for identifying areas of high herpetological diversity or with the presence of rare species across North America. These areas were named Priority Amphibian and Reptile Conservation Areas (PARCAs). The Orianne Society was part of the first task team to develop and implement PARCAs. We are currently in collaboration with JJ Apodaca at Warren Wilson College (formerly with Florida State University) to implement guidelines to identify PARCAs across the South Atlantic landscape, including the states of Alabama, Georgia, Florida, North Carolina and South Carolina. We are using previously-generated range maps of all species in the region, as well as a natural landscapes data layer to make sure that PARCAs represent viable habitat. After generating preliminary maps of species richness and rare species, we are then organizing meetings with herpetological experts to create boundaries for the PARCAs for each state. This process is already underway and should be completed in the upcoming year, with draft PARCAs already created for North Carolina. Our long-term goals are to continue to contribute to the PARCA effort across North America and to work with others to ensure the PARCA vision is realized. Furthermore, we will actively use the PARCA maps to help prioritize our conservation efforts, and we will use PARCA areas to educate others about the need for herpetological conservation and bring attention to unprotected areas that are designated as PARCAs. We hope our PARCA efforts will lead to both increased priority for land management for amphibians and reptiles and will also be recognized as unique biodiversity gems on the American landscape.